Home | Ohio Cross Country - 2019 State Meet! 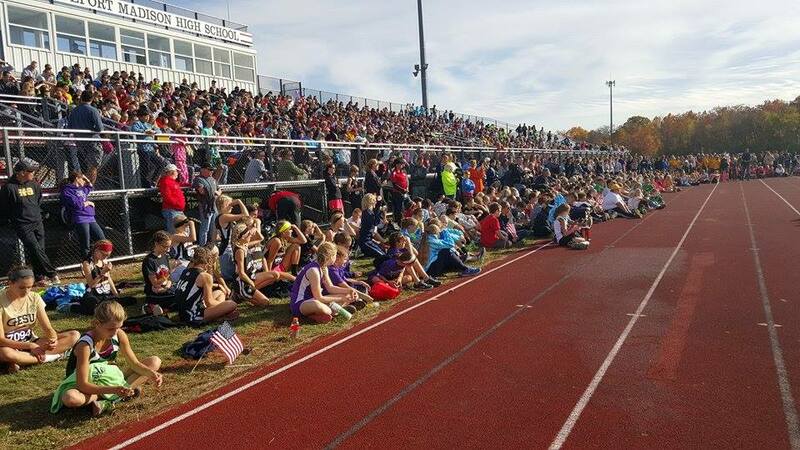 13th Annual OHIO CROSS COUNTRY Middle School and Elementary STATE CHAMPIONSHIPS at Dublin Jerome High School October 20th! Deadline to enter is October 16th at 11PM. Want to run in the Biggest? Want to run against the Best? Want to be part of the Greatest Spectacle in all of middle school sports? Want to be a State Champ? Only one place to accomplish all those goals. 2018 One Shining Moment Video tribute coming this week! Will your smiling face be in it? Check back to find out. 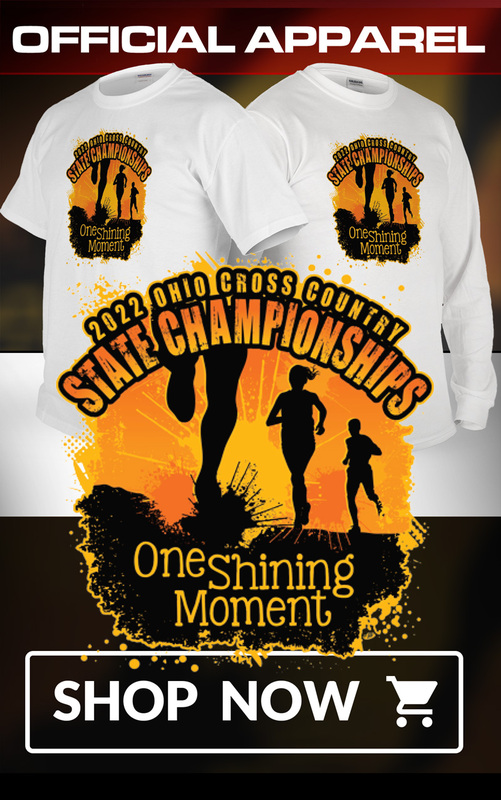 The Ohio Cross Country State Championship Store is open! Here is the link to book rooms at our host hotel, the fabulous Columbus Marriott Northwest. It's never too early to book either. I encourage all our teams to stay Saturday night if possible. I can think of no better team building exercise then a night in a hotel filled with runners from all across the state! Located less then 3 miles from the school. This year our athletes will be running for a ring! 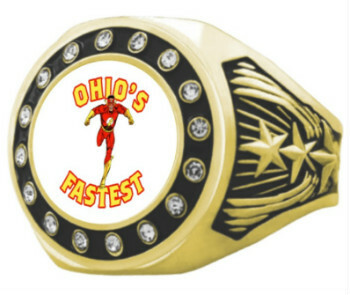 We will be presenting our Ohio's Fastest Boy and Girl with an awesome fitted ring in recognition of their achievement! Spread the word and get your runners involved. It's the most FUN day of the Cross Country Season. If you are a runner you need to be in the Emerald city October 21st. 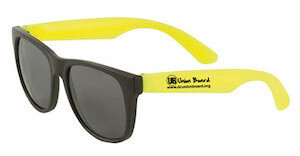 "Still THE ONE and only state championships"
The first 1200 runners to register will get a free pair of Ohiocrosscountry.org Sunglasses! 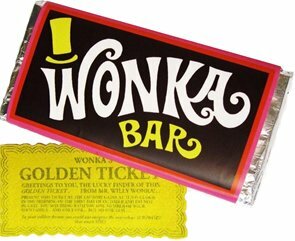 New in 2019 We are giving a Willy Wonka Chocolate Bar to all top 15 finishers in every race, but the best part is that 5 will have a Golden Ticket wrapped inside that can be redeemed for any Long Sleeved shirt from Fine Designs on race day! What is the one thing EVERY Top 3 finisher would want more than anything else....? 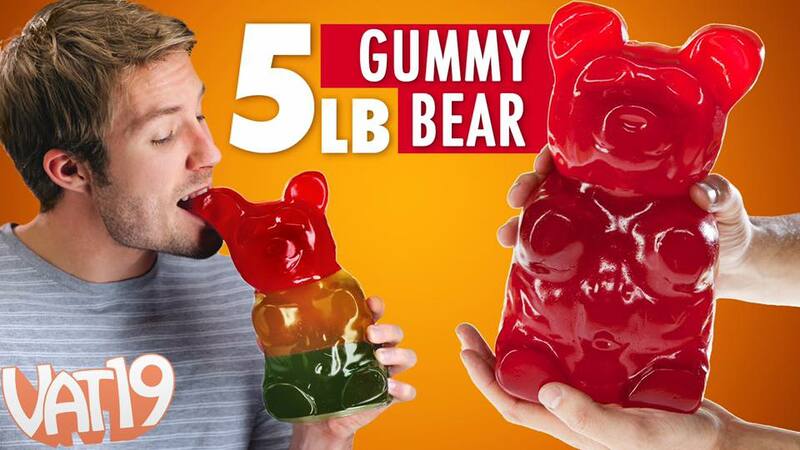 Exactly, a GIANT GUMMY BEAR!!! We are giving one to the top 3 placers in every race in 2019!! This photo says it all guys, this does not happen in Middle School Cross Country anywhere else in the State Of Ohio and maybe not even in the country. This was one of our main goals when we started out 12 years ago to get Cross Country athletes the kind of recognition, respect and visibility that they deserve and OTHER sports get. The pride I felt while looking down at the awards ceremony Sunday is something beyond words. A parent asked me prior to this if they should stick around or just grab their daughters medal and head home...This picture gives a very clear answer to that Question. Coaches NOW is the time to add the Ohio Middle School State Championship meet to your regular season schedules for 2019! If you already have your limit of 12 meets scheduled consider replacing one of your smaller non competitive events with the state meet and bring your entire team to Dublin and spend a fun filled weekend with your kids. Click on the stories tab to read some great positive comments about our past state meets. We appreciate every single one! One of the goals of Ohiocrosscountry.org is to help Cross Country Athletes get the same recognition as the other sports get. You can help us accomplish that! Once your team or athlete has entered the State Meet please take some time to send a picture and short write up to your local Newspaper to announce that they will be participating in this years event. If they do well at the meet snap a photo and send to your paper as well.